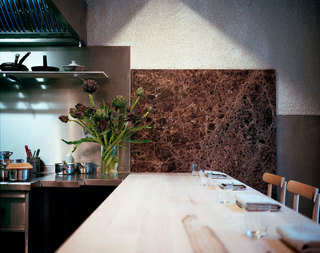 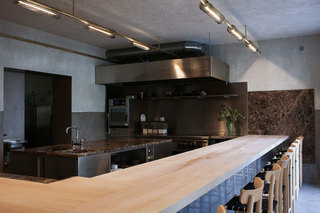 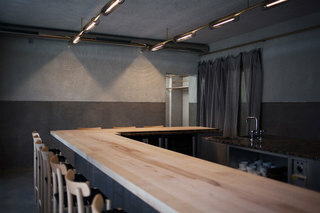 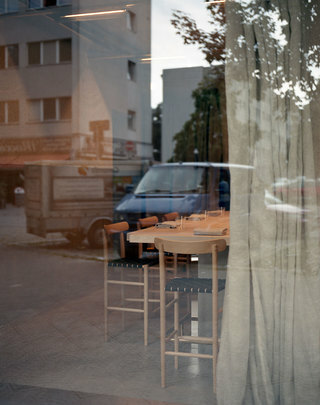 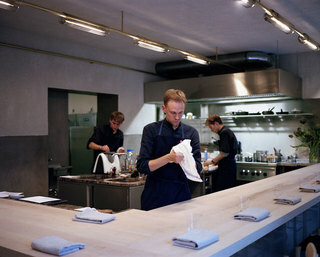 A Countertop for ERNST, a 12 seat restaurant in Wedding, Berlin. 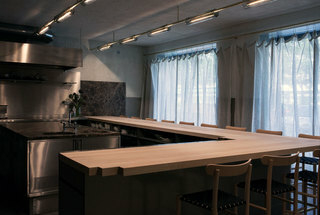 Working with this 6.5cm thick Maple from the south of Germany and turning it into a 6m long, L-shaped countertop was a nice challenge. 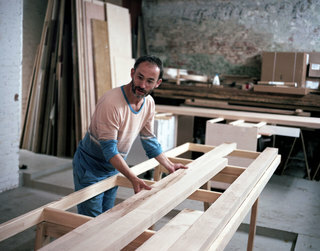 The wood is treated with a traditional Soap Finish, which does not alter the natural colour of the timber. 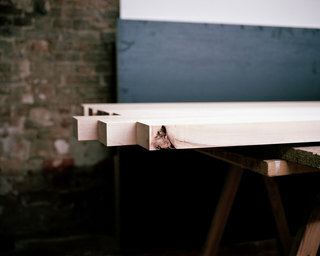 Applied every day, this finishing method offers great protection combined and a very smooth feel.